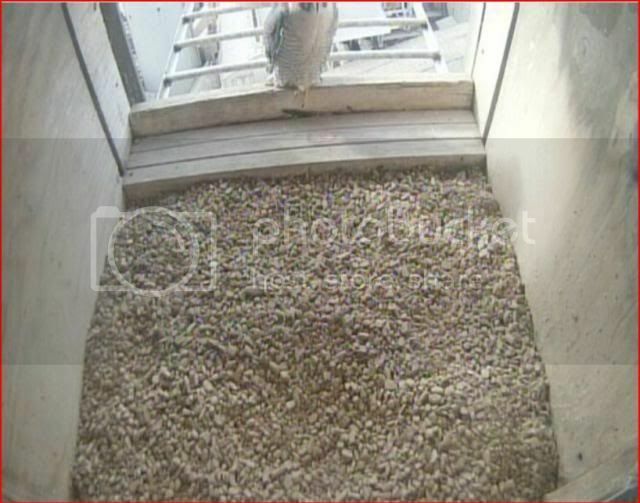 -T- the location @ the nest site...Energy-power plant? 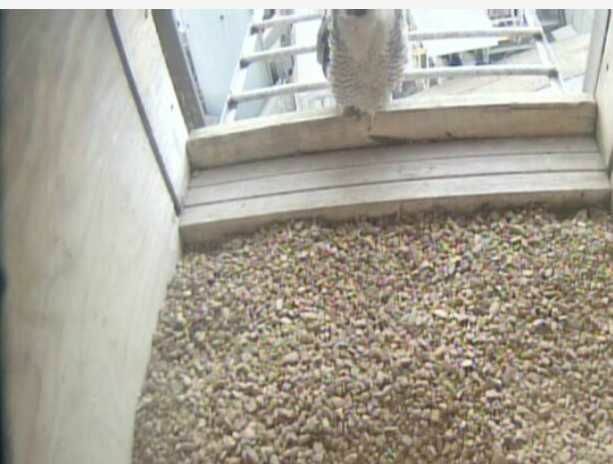 I Finally saw someone here for just a few seconds! 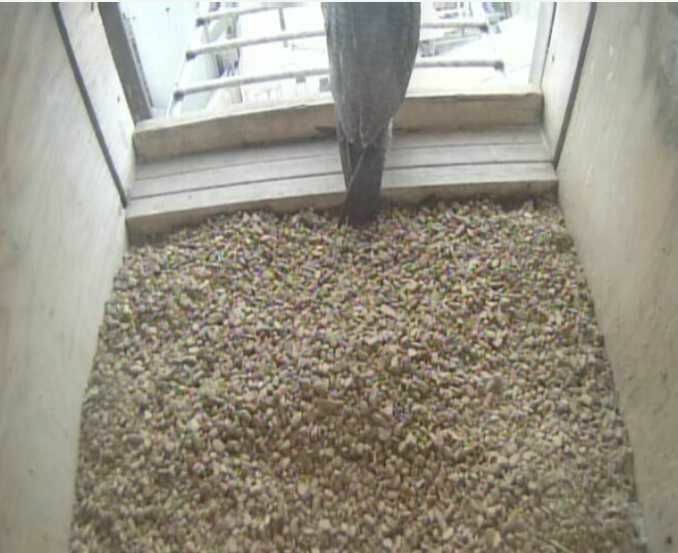 Scrape Check! 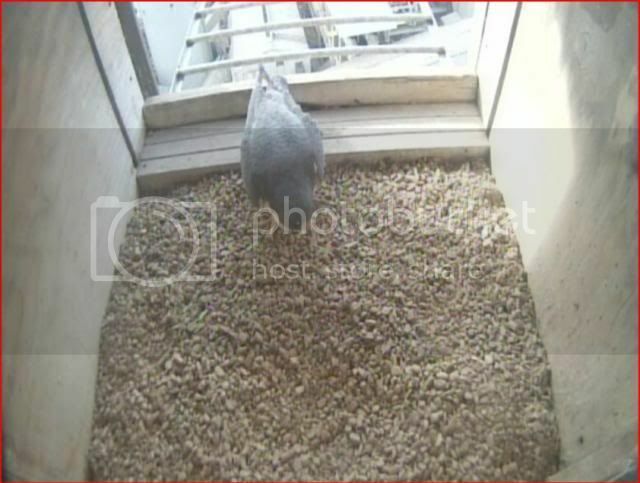 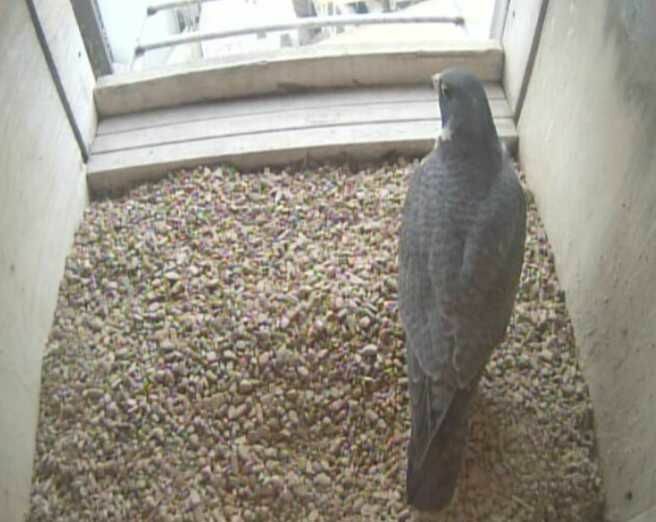 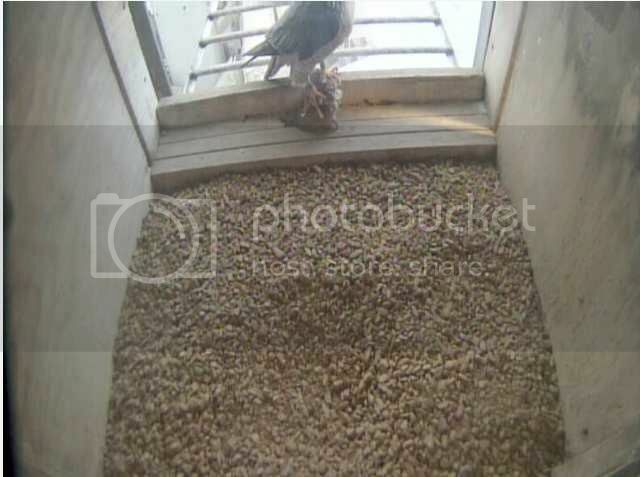 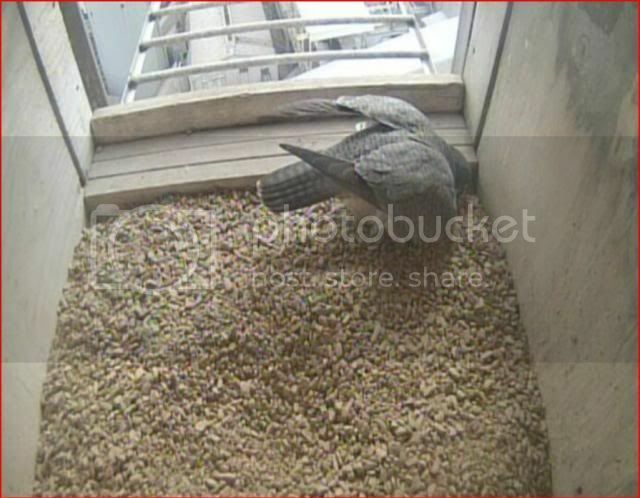 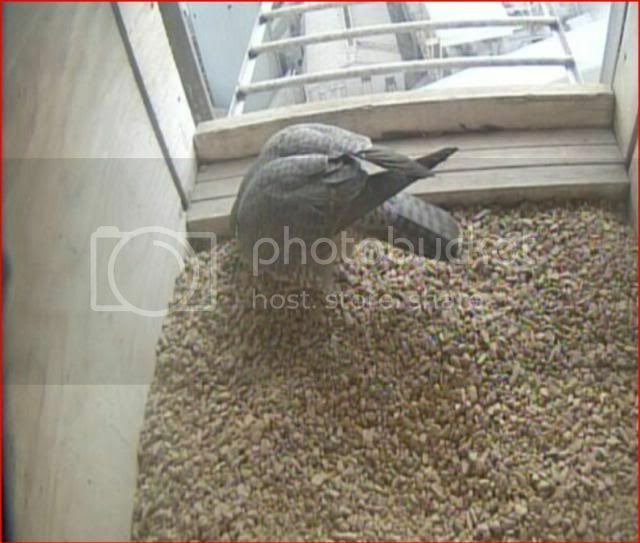 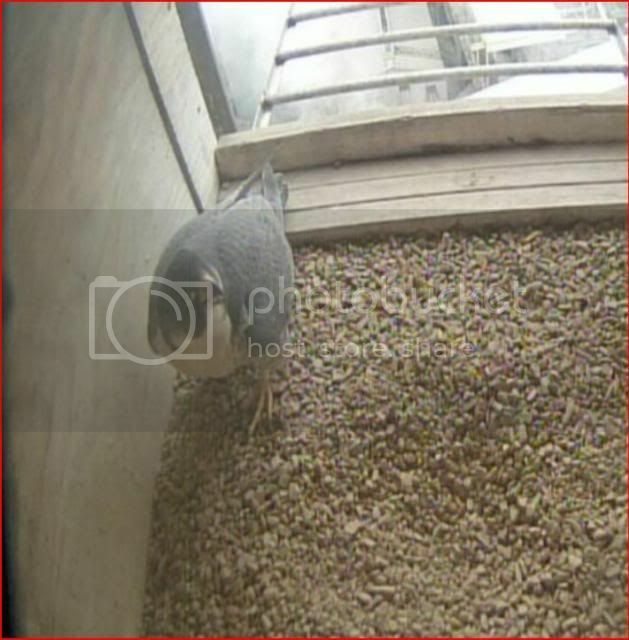 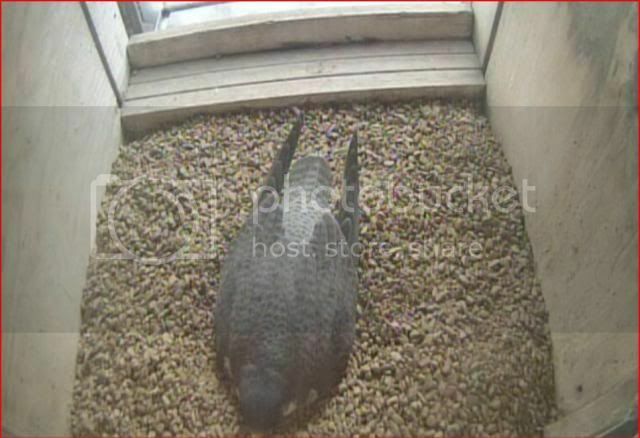 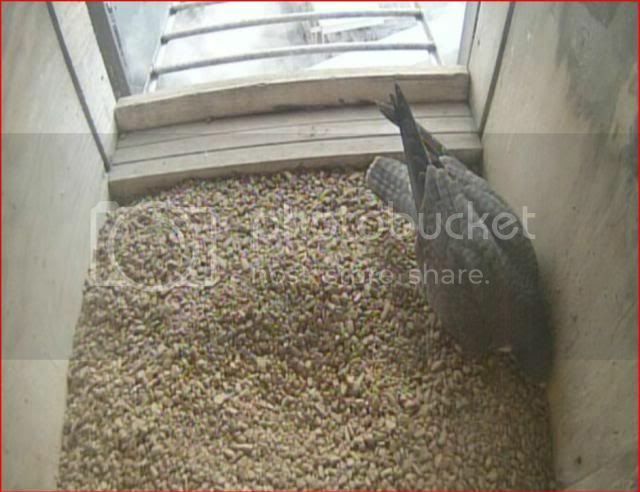 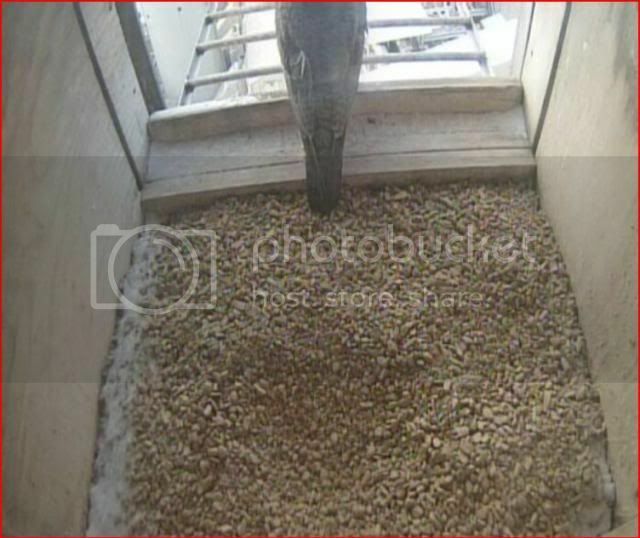 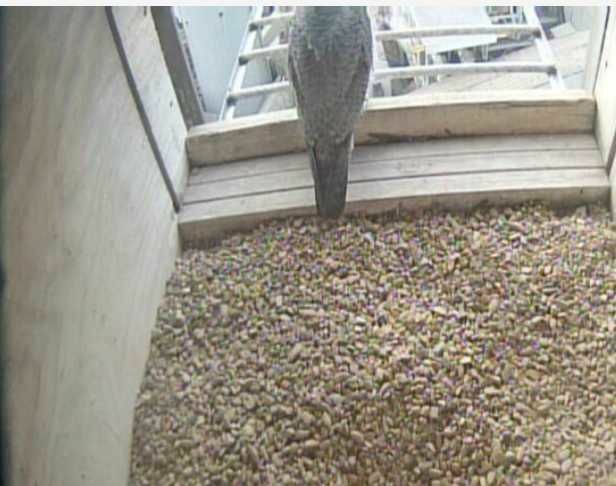 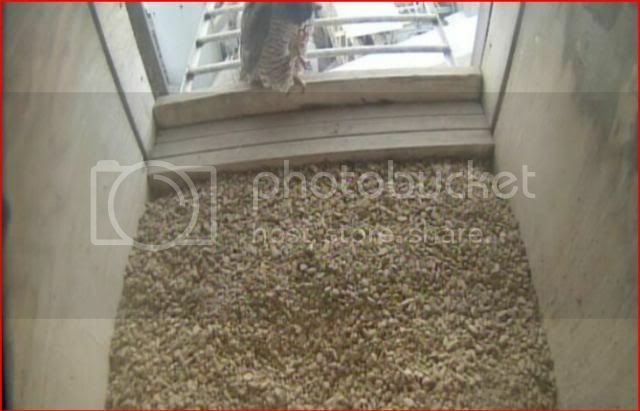 If anyone was recording...at 1pm there was a good view of this adult...I missed the capture..
OOOh - a peregrine scraping in the nest box!!! 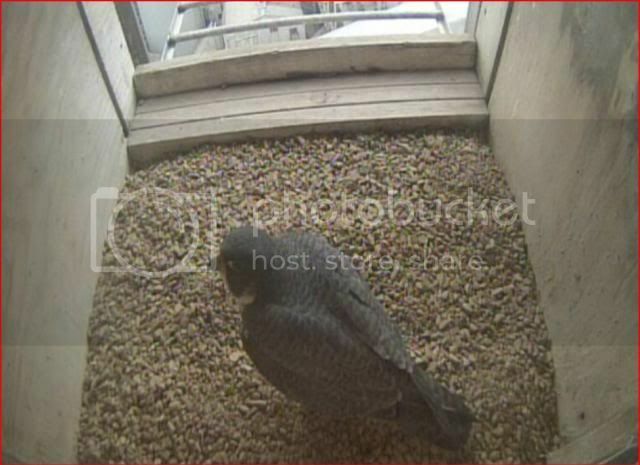 Fabien with a food gift!! 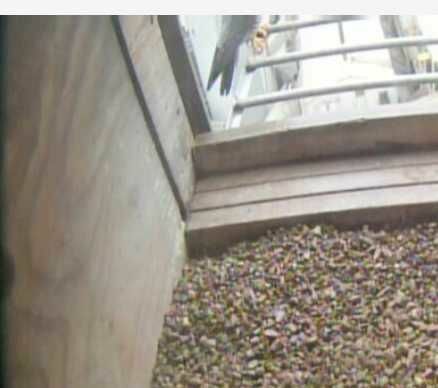 Unfortunately, I was too slow to get a pic of Mom coming in to get it!!! 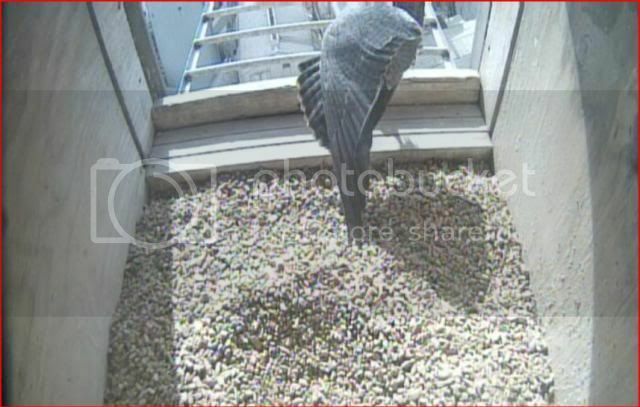 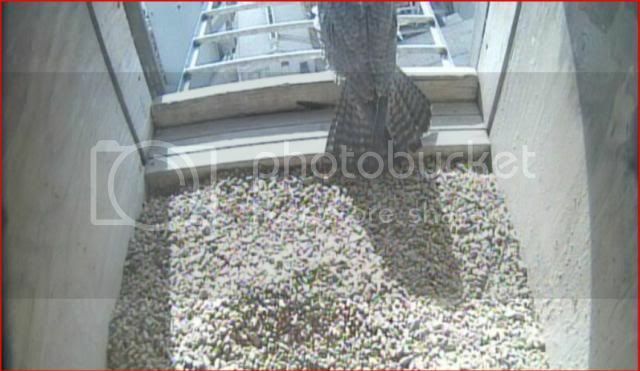 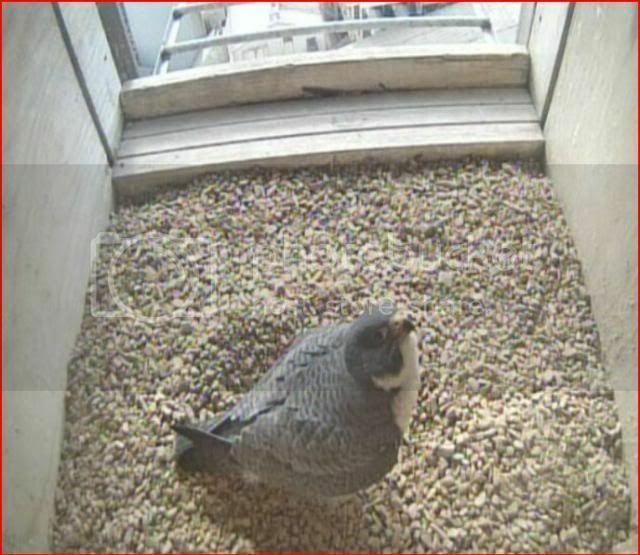 Here is the unbanded female...She was inspecting every inch of the box.... 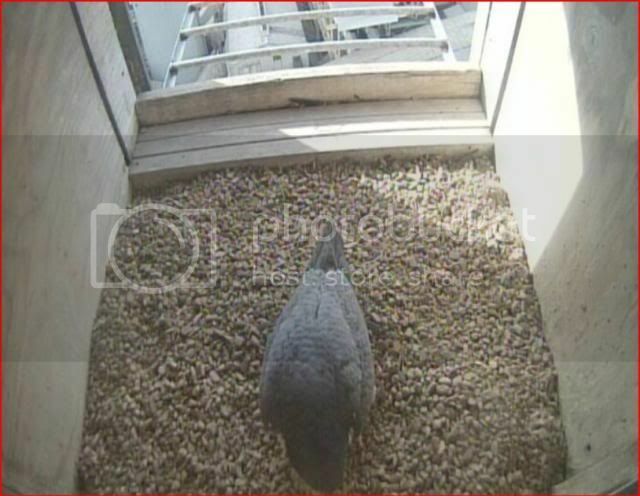 Afternoon visits to the box means she is getting close to being in egg?